The Massachusetts Department of Public Utilities (DPU) issued an order which approves two long-term contracts for 800MW of offshore wind between Vineyard Wind and the state’s electric distribution companies, according to a press release from DPU. The approval moves forward Vineyard Wind’s proposed 84-turbine wind farm, 14 miles off the coast of Martha’s Vineyard. In the contracts, Vineyard Wind will work with the Massachusetts Electric Co., Nantucket Electric Co., NSTAR Electric Co., and Fitchburg Gas and Electric Light Co.
Vineyard Wind has also committed to contribute $15 million to a fund that will invest in projects that promote battery storage in low-income communities. 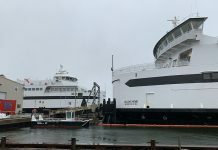 “The approval of these contracts is an important step toward the completion of the largest offshore wind project in the country, which will significantly reduce greenhouse gas emissions, provide Massachusetts residents and businesses with cost-effective clean energy, and promote economic development,” Governor Charlie Baker said in the release.